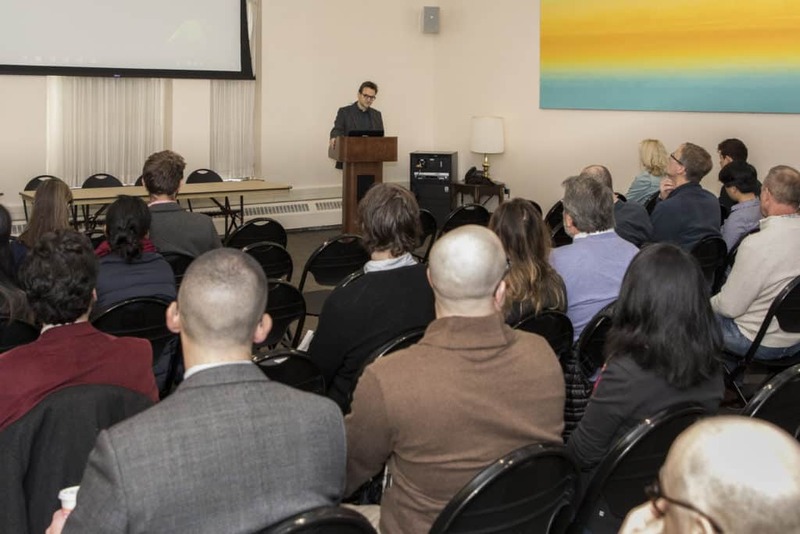 Trinity College hosted the first CTW Undergraduate Symposium in the Arts and Humanities on Saturday, November 10, showcasing scholarly work by students from the three partner institutions; Connecticut College, Trinity College, and Wesleyan University. 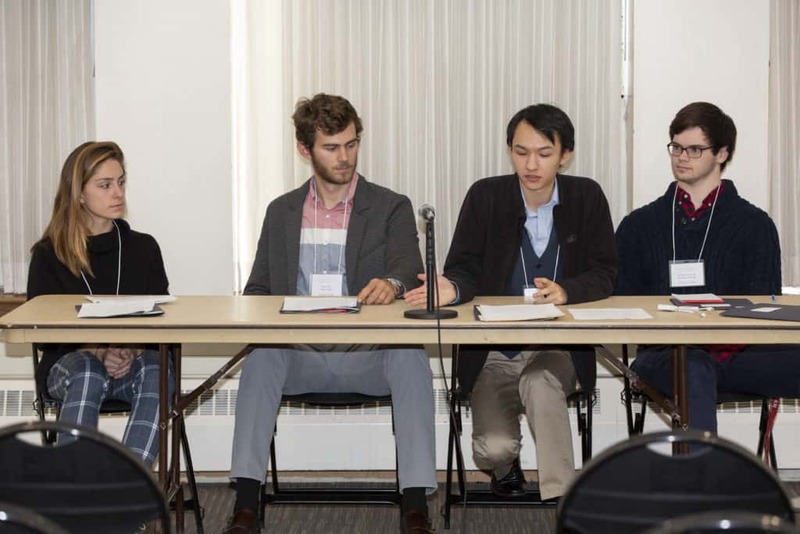 Selected students from the University of Hartford, the University of St. Joseph, and the University of Connecticut were also among those who presented papers during panels organized by subject matter. Students gave presentations during panels organized according to themes, with moderators facilitating conversations. Julia Goesser Assaiante, a lecturer in language and culture studies at Trinity, was involved in collaborating with other faculty members and administrators in developing ideas for a grant proposal submitted to the Andrew W. Mellon Foundation in fall 2017. Included in the institutional Mellon grant that was awarded to Trinity was funding to host an undergraduate arts and humanities symposium for three years, with each year’s symposium held at a different partner institution. “My goal in organizing this symposium was to show our students in the arts and humanities that their work is important outside the context of their courses, and also beyond the context of Trinity College itself,” Assaiante said. Trinity College Dean of the Faculty and Vice President for Academic Affairs Tim Cresswell welcomed students from several colleges and universities to the CTW Undergraduate Symposium in the Arts and Humanities. The daylong symposium began with opening remarks by Dean of the Faculty and Vice President for Academic Affairs Tim Cresswell, who emphasized the importance of the humanities in the broader world. “It’s great to see so many humanists gather together to share knowledge, wonder, and imagination… and to practice empathy, close reading, and critical thinking collectively,” he said. Students gave presentations during panels organized according to themes present in students’ work, with moderators facilitating conversations between the panelists. The topics represented the depth and breadth of the arts and humanities, including language and literature, philosophy, theatre and dance, art history, women’s studies, cultural studies, ethnic studies, religious studies, and film studies. Trinity College Lecturer in Language and Culture Studies Julia Goesser Assaiante. Assaiante noted that the organization of the symposium modeled national academic conferences. 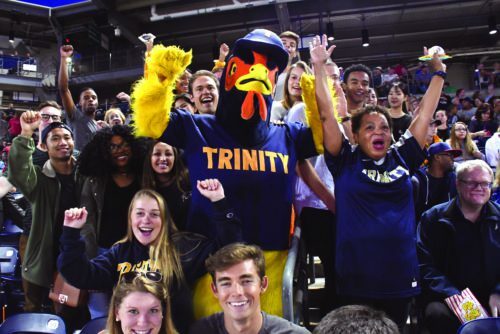 “The most important thing was that [Trinity] students could be on panels with one another and—in the best-case scenario—also with students from other schools. This structure of panels and moderators allowed for that kind of dialogue,” Assaiante said. The symposium concluded with a dinner in Hamlin Hall followed by a keynote speech by Maurice Samuels, Betty Jane Anlyan Professor of French and chair at Yale University. 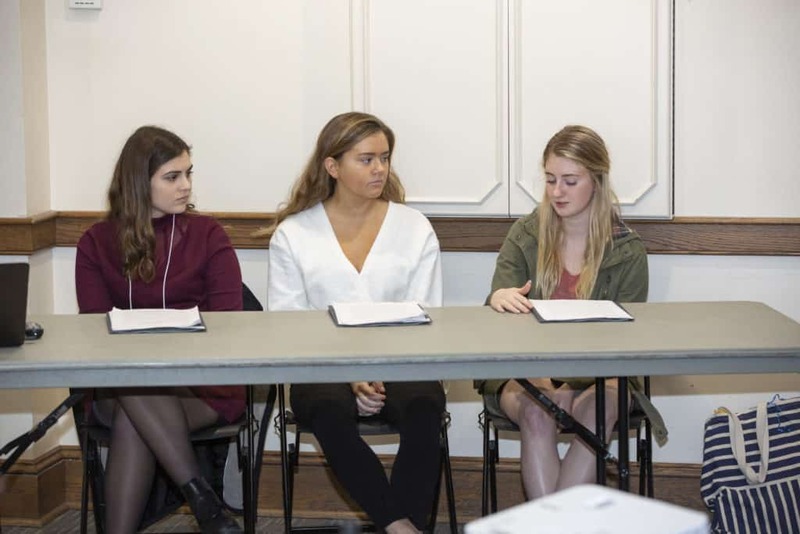 Trinity student Victoria Peltier ’21 said that the symposium gave her the opportunity to present her writing in a professional academic setting. “I was comfortable being surrounded by my Trinity peers and professors, but I still stepped out of my comfort zone and found it was a rewarding experience,” Peltier said. After a full day of presentations was complete, Assaiante reflected on the success of the symposium. “The participants I had the pleasure of watching brought a very high level of intellectual discourse and engagement to the table,” she said. “Their passion and knowledge and ability to communicate both to their peers and audience were impressive.” Assaiante hoped the participants gained confidence in the importance and value of their work as undergraduates. 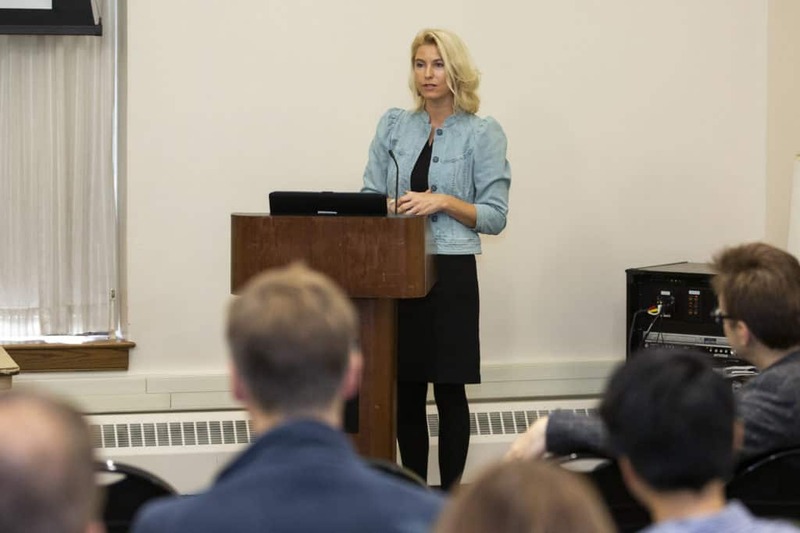 “I would like to think that this symposium showed students that they are scholars and thinkers, and that their work is important,” she said. Click here for more information about the symposium and a list of the panels and participants. The next symposium will be held at Wesleyan University during the 2019-2020 academic year.